New to their already successful golf range, the new Lexis jacket will keep you well protected on a cold winter's day. The first thing to say about this jacket is that it benefits from Interface-1 technology. This ensures that you have full protection from the wind, it is highly breathable and has been coated with a water-repellent membrane. 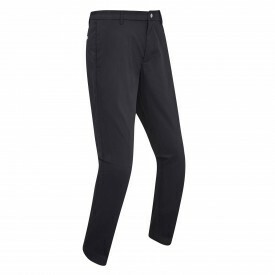 This ensures that you remain warm and comfortable for the duration of your round and beyond. A full front zip up to the neck also helps to keep the elements out. Both the cuffs and waist are elasticated for a comfortable fit. The jacket has two front pockets which can keep the hands warm or alternatively can be used for the storage of golf related items such as golf tees. The jacket is made from 87% polyester/13% polyamide fabric and comes in black/red. It is available in sizes S to XXXL. This is a jacket made to keep you warm, make sure you have one in your wardrobe. Made from 87% polyester/13% polyamide fabric.